Cardiac arrhythmia relates to irregular rate or rhythm of heartbeat, and while most of these conditions are fairly harmless, certain cases can be utterly serious and even lead to death as the lack of blood flow can severely damage the heart, brain, and other organs. Thankfully, the National Heart, Lung, and Blood Institute (NHLBI) is strongly supporting researchers aiming to formulate a method to treat this disorder. One of the recent and revolutionary development has been the advent of portable devices to identify arrhythmias on the run time. Conceptualized by the researchers at the Technological Institute of Morelia, the device not only detects cardiac arrhythmias on a real-time basis but also can be placed on the chest of the patients as well as made as a part of cloth such as shirt. The device only has a size of 20 by 20 centimeters and is capable of detecting eight different kinds of arrhythmias. The only restraint remaining for the device to be commercially viable and revolutionize the cardiac arrhythmia monitoring devices market as a whole, is recharging batteries. The new technology is expected to be a blessing for those individuals who have not yet been diagnosed with cardiovascular disorders and can help in preventions with detection of early signs. Along the similar lines, scientists at the GSI Helmholtz Center for Heavy Ion Research at Darmstadt, in association with the Mayo Clinic, are developing a novel method for treating cardiac arrhythmia using carbon ion beams in order to treat tumors. This minimally invasive procedure can even made certain desired changes to cardiac tissues that restrain the transmission of electrical signals. 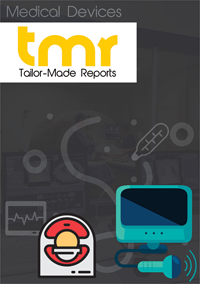 This business intelligence report on the cardiac arrhythmia monitoring devices market has analyzed all of the latest developments in clinical research that are expected to pave way to new revenue avenues until the end of the forecast period of 2017 to 2025. Cardiac arrhythmia monitoring devices are greatly helpful in following the function of heart and report any variations from the normal in normal functioning such as rhythm. Subsequently, they do not only help in keeping up a constant record of heart function but have likewise turned out to be a saver because of their capacity to report changes in typical functioning of heart like on account of a cardiac event. The global cardiac arrhythmia monitoring devices market is anticipated to develop at a vigorous rate and achieve a noteworthy market within the forecast duration from 2017 to 2025. The cardiac arrhythmia monitoring devices market has been seeing an upward development chart since past years. The global market is likely to develop at a stellar rate. The global cardiac arrhythmia monitoring devices market is segmented as per the cardiac telemetry devices, continuous rhythm monitoring devices, event monitoring devices, and Holter monitoring devices. The market is divide on the basis of independent diagnostic testing facilities/clinics and mobile cardiac telemetry monitoring service providers. Factors propelling the development of the global cardiac arrhythmia monitoring devices market comprise supportive reimbursements for cardiac disorder treatment, technological development in cardiac arrhythmia monitoring devices, growing cases of cardiovascular diseases, increased focus on affordability of healthcare costs, rise in adoption rate of low cost ECG facilities for people with low income and favorable government regulation for startup firms. The rise in usage of telecardiology alongside the portability and usability of cardiac arrhythmia monitoring devices and the innovation of smart cardiac monitors are driving the development of this market. In any case, the reliance of signal quality and amplitude which are not controlled by the devices, alongside low popularity of telemetry innovation in developing markets and the high cost of remote cardiac arrhythmia monitoring are blocking the development of the market. The absence of affordable cardiac arrhythmia monitoring devices is at present giving an immense scope in this market, while the broad infrastructural necessities keeping the penetration of small firms from expansion are at present the major hindrance witnessed by this market. On the basis of geography, global cardiac arrhythmia monitoring devices market is divided into Europe (Germany, the United Kingdom, France, Spain, Italy, and Rest of Europe), North America (the United States, Canada, and Mexico), Asia-Pacific (Japan, China, India, South Korea, Australia, and Rest of Asia Pacific), South America (Brazil, Argentina and Rest of Latin America), the Middle East and Africa (South Africa, GCC, and Rest of MEA). Among these, North America is the key region leading the global market. To build up the revenue share, the manufacturing firms which are making EGC monitoring device are concentrating on the improvement of smart ECG monitoring devices, for example, implantable cardiac monitors and cardiac telemetry monitors, that will fuel the demand of cardiac arrhythmia monitoring devices and furthermore help the software and service market within the forecast period. Growing demand for high-quality ECG monitoring devices from end use, for example, ambulatory surgical centers, homecare settings, hospitals, diagnostics centers, and emergency medical services for better output and execution, will produce great scope in future for ECG monitoring devices in the market in a few years. Koninklijke Philips N.V., NUUBO Smart Solutions Technologies SL, GE Healthcare (General Electric Company), Spacelabs Healthcare, Inc. (OSI Systems, Inc.), Welch Allyn – A Hill-Rom Inc. Company, Nihon Kohden Corporation, Biotelemetry, Inc., Fukuda Denshi Co., Ltd., AliveCor, Inc., Medtronic Plc., Biotronik, Inc., and St. Jude Medical, LLC. (Abbott Laboratories) are among the major players in the global market.